We know that our city is movin’ and groovin’ in so many ways! From start-ups and finance firms to new bars, restaurants, and organizations, a private event could mean anything. 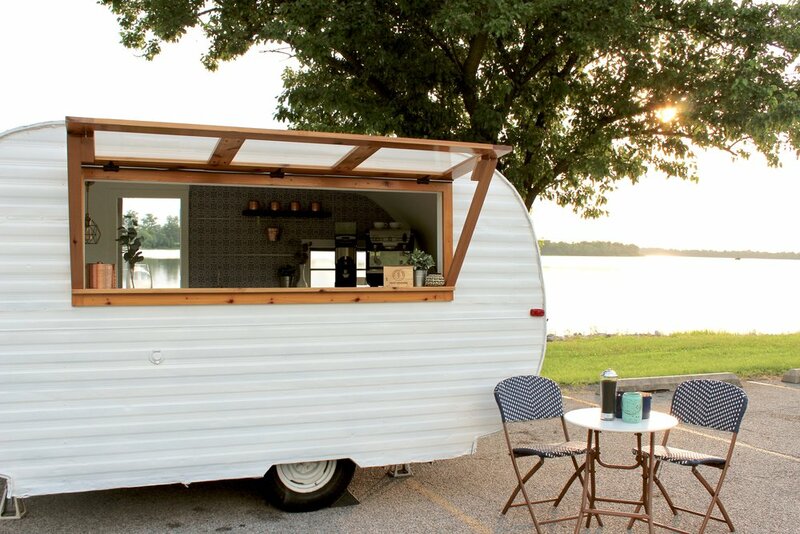 With both our cart and camper, we can provide a variety of menu options, set-ups & recommend custom offerings. NOW BOOKING: weddings | conferences | church events | meetings | school/university events | private parties | store events & more! Choose your package based on guest count. We'll provide one drink to each of your guests + bring 10% extra just in case. If you'd like to add cold brew, that can be added to either bar under "Additional Options". Additional Options * Add Cold Brew | $20/ Gallon Extra Hour | $89 Flavored Syrups | $15 String Lights | Evening events only, no charge. We bring the stands. If you'd like to add cold brew to any bar option, please note how many gallons here. Would you like to select a specific roaster? By default we will serve COMA coffee. If you were referred from another roaster, please select which one here! We will use their coffee for your event instead. Coffee is the world's second-most traded commodity. People drink it all the time, often every single day. Whether that's hand-brewing in your kitchen or swinging through a drive thru, we all just love the stuff. So what if you could keep drinking the coffee you love - really good, quality coffee - and have it make a difference in the world? We started Silo to be a place where specialty coffee can be housed in the same place as social justice for coffee farmers. Since we give 10% back to coffee farming regions through clean water projects, you can know that you're making a difference for coffee farmers with every delicious sip.